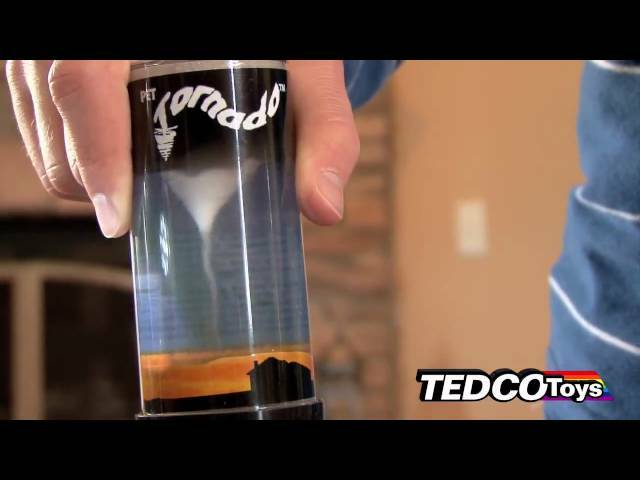 Pocket Science Pet Tornado has been added to your shopping cart! Great gift for the storm chaser in your life! Messy office? Great! So now when your snarky office mate asks if your desk was hit by a tornado, you can say in fact yes, and proudly introduce them to your Pet Tornado. Give the jar a swirl or clockwise shake and create your own funnel cloud of spinning bubbles and sparkly glitter. Great for weather enthusiasts! As you may know, tornadoes that occur in the U.S. are ranked from F-0 to F-5 (the FUJITA scale) depending on the estimated wind speed and degree of damage. Since you likely don't have this information committed to memory... details of the F1-F5 rankings are printed on side of the tube. Made in USA. Measures 4.5 inches tall x 2 inches in diameter. Mini cow not included!